An S-300 surface-to-air missile system in Kalingrad's 2015 Victory Day Parade. Defense officials from the six members of the Shanghai Cooperation Organization gathered in Astana this week for their 13th meeting. Imangali Tasmagambetov, the Kazakh defense minister, hosted ministers from China, Russia, and Tajikistan, as well as the president of the National Defense Affair Committee of Kyrgyzstan, and the army chief of Uzbekistan. The meeting highlights were standard: mentions of the growing threat of “international terrorism and religious extremism” and emphasis on strengthening cooperation among SCO members. Russian Defense Minister Sergei Shoigu came bearing gifts: a delivery of S-300PS surface-to-air missile systems. According to TASS, the delivery of the air defense systems was made free of charge. “We are paying special attention to development of the Russian-Kazakhstani ties in the field of air missile defense. We have delivered the S-300PS air missile defense systems and missiles for them to Kazakhstan free of charge with an aim to strengthen the unified regional air missile defense system,” Shoigu said. 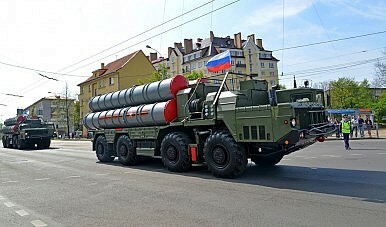 TASS did not specify how many S-300PS systems were delivered. At the time, Reuters quoted Deputy Defense Minister Anatoly Antonov as saying, “Five divisions of S-300 will be delivered from the surplus of the Russian Defense Ministry.” Reuters added the note that a division usually contains 12 rocket systems. It’s unclear from Russian media reporting exactly how many systems, in total, Kazakhstan has taken delivery of in recent years. The S-300PS is part of the S-300 family of air defense systems designed by the Soviet Union. The first S-300s came into operation in the late 1970s and the PS version was introduced in 1985. The gifts to Kazakhstan are part of an overall Russian initiative to build a network of air defense systems across the former Soviet Union. Russia has developed common air defense systems with Armenia, Belarus, and Kazakhstan individually and aims, eventually, to unify the systems under the auspices of the Collective Security Treaty Organization (CSTO).